Renowned for its world class academics, Carleton is #5 in the latest U.S. News & World Report College Rankings. As a member of the M.I.A.C., excellent competition is close to campus. Carleton's athletic facilities put training and competition right outside your door. Carleton student-athletes take advantage of the many study abroad opportunities sponsored by the college without sacrificing athletic participation. 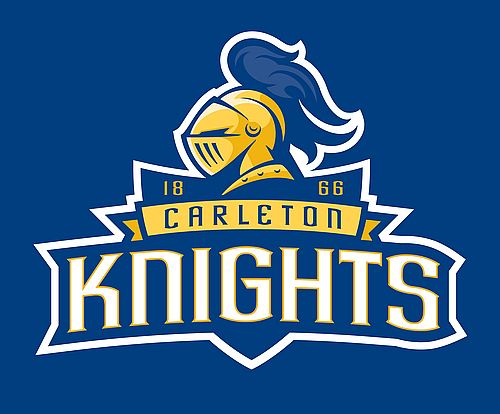 Learn what factors contributed to why many of our student-athletes selected Carleton during their recruitment and college search. Welcome to the Carleton College Varsity Athletics Recruit Center. This area serves as a clearinghouse of information for prospective student-athletes looking to continue their athletic careers at one of the finest academic institutions in the world. Carleton is a NCAA Division III institution, meaning it doesn't grant athletic scholarships. What we do offer, though, is a balanced, competitive and enriching athletic experience that will enhance your academic experience. Carleton is a member of the Minnesota Intercollegiate Athletic Conference (MIAC), one of Division III's best conferences. Our MIAC affiliation affords us with 12 other institutions to compete against at a very high level. Our student-athletes excel in the classroom and in their venue of competition. Over the last 10 years, Carleton student-athletes have earned All-America honors 82 times and won nine NCAA Postgraduate Scholarships in the past three years. You can use the following links to learn about the individual program(s) you're interested in from our coach and student-athlete profiles and to forward your academic and athletic information to our coaches with our online questionnaire forms. We hope you find this area useful as you begin your college search process. This non-binding form can be used to commemorate a prospective student-athlete’s decision to attend Carleton College. Leo Vithoontien '21 earned All-America status for his performance at the 2018 NCAA Championships. Carleton fans celebrate a Knight victory at historic West Gym. Caroline Mather '19 earned All-American status in the 100-yard free at the 2017 NCAA Championships. 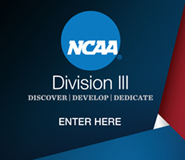 Hayden Tsutsui '16 was selected as the d3baseball.com national rookie of the year in 2013.